What are Silk Top Lace Wigs? How are they made? Silk Top Lace Wigs are made exactly the same way as a full lace wig, but a silk top layer is added in the front of the lace wig. When you part the hair within the top region of your lace wig it will look like your own real scalp. There are no visible knots that can be seen by the human eye - no matter how close you look. Each single strand of remy human hair is knotted below the silk top cap base creating the illusion of hair growing directly from your natural scalp! It is the only option that has been added to a full lace wig that can make it look more natural regardless of your hairstyle. A silk top wig is the ultimate design and will give you the most natural look, especially if you decide to part your hair in the middle of your scalp! In short, if you part your hair in the middle of your head and want the most natural looking wig available in the world today then the silk top lace wig is for you! 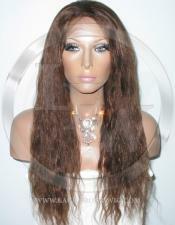 If you wear your hair parted in the middle - the silk top wig is the most natural looking lace wig available in the wig industry. 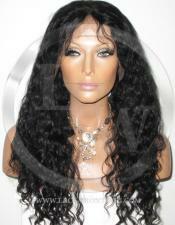 We carry the largest selection of Silk Top Wigs in a range of colors, sizes, textures and lengths to fit any hairstyle. 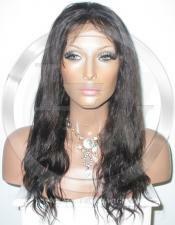 Lace-Front-Wig.com offers the best quality human hair for the lowest price because we are the manufacturer. There is no waiting! 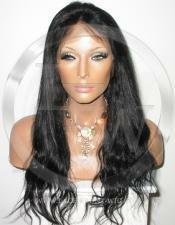 You can have your beautiful Silk Top Lace Wig tomorrow. There are no visible knots noticed on the top of the scalp no matter where you part it. Each hair is hand tied into the lace below the silk layer making the hair appear to be growing directly out of the scalp. You can easily select from Chinese Virgin hair or the highest quality Indian remy human hair to fit your natural hair texture. 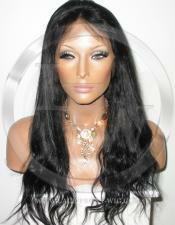 Our silk top wigs come with baby hair, bleached knots on the hair line, and top quality single drawn remy hair. There's virtually no tangling of our remy hair since the cuticles run in the same direction. 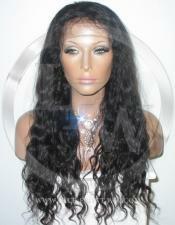 Our Silk Top Wig provides limited shedding since we use a knot sealer and double knots in back of the cap. 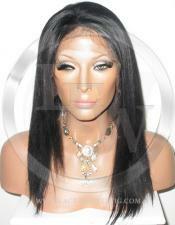 Silk Top Wig - Questions & Answers Written by Wig Experts. 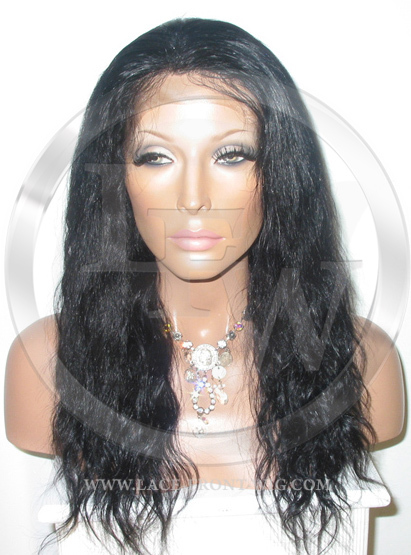 Do Silk Top Wigs look more natural than Full Lace Wigs? 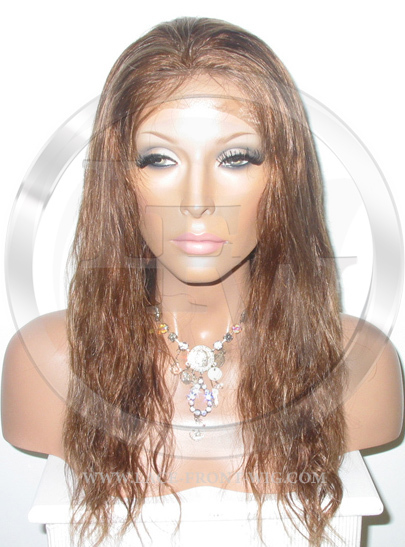 The Silk Top Full Lace Wig looks more natural than a Full Lace Wig since the knotting of the hair is not visible on top of the wig no matter how close you look. The knotting of each individual strand of hair is actually done underneath the silk and each single strand of hair is then pulled through the silk. This gives you the appearance of hair growing directly from the scalp. It gives you the most natural appearance of any wig in the world today without any styling limitations. Do I really need a Silk Top Lace Wig if I don't part my hair? It is really your own personal preference. 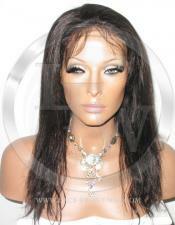 If you don't part your hair on your full lace wig, no knots are visible on the scalp. In that case, there is no advantage of having a silk top full lace wig. However, the silk top gives you the flexibility to change your hairstyle and maintain the most natural looking appearance possible. Is there additional maintenance required for a Silk Top Lace Wig? 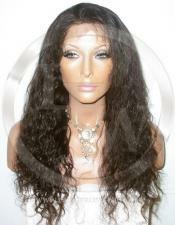 There is no additional maintenance required for a silk top full lace wig when compared to a full lace wig. 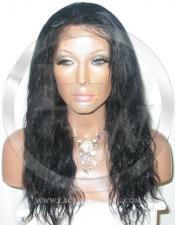 You simply maintain and attach your silk top full lace wig in the same fashion as your full lace wig.